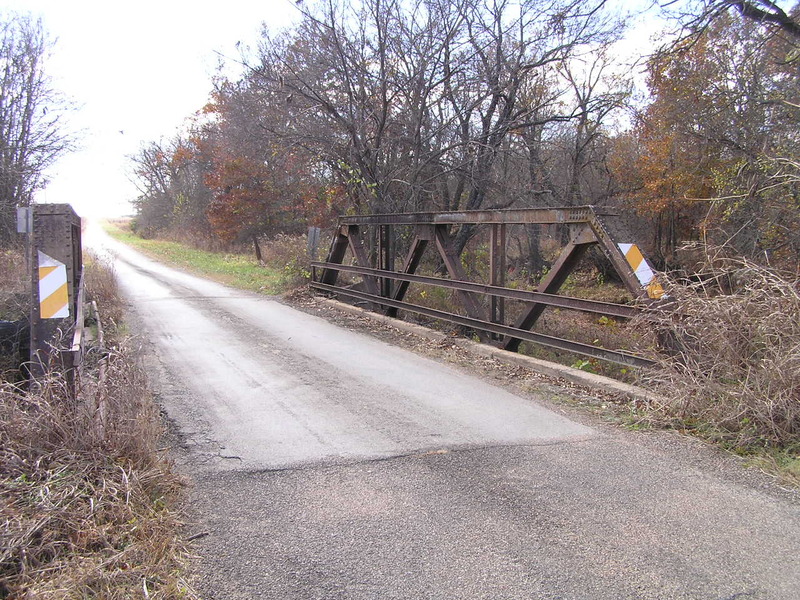 Snake Creek Bridge, Okmulgee Co. 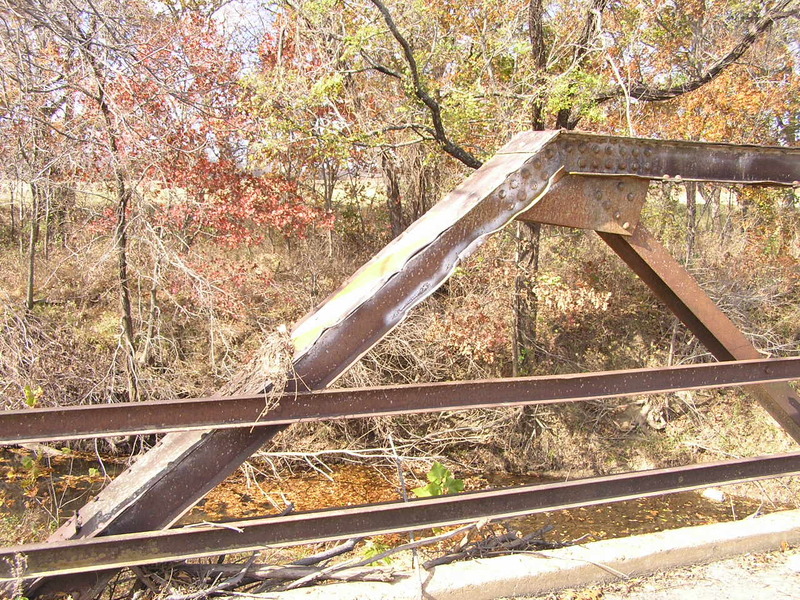 Built in 1929, this riveted Warren pony span stands northeast of Okmulgee on NS3980 Road. Above, damage done to the endpost. 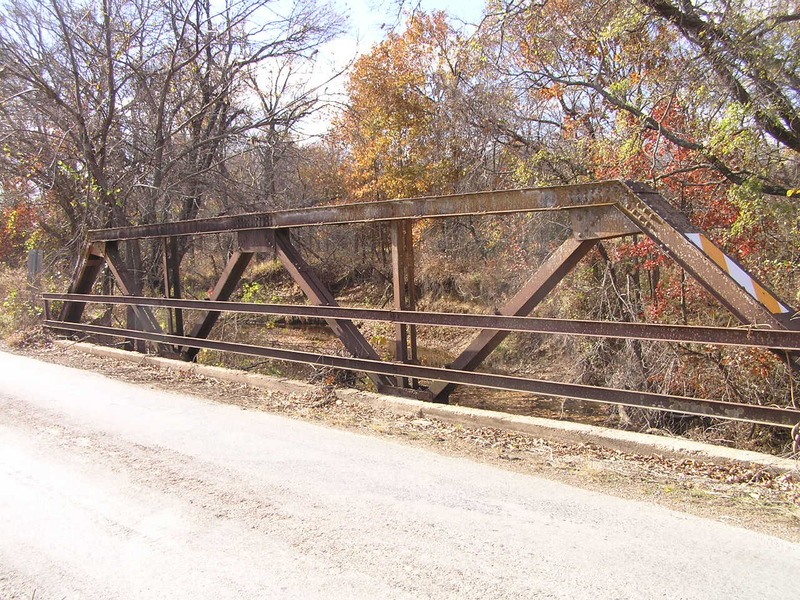 Below, a deck view of the truss. 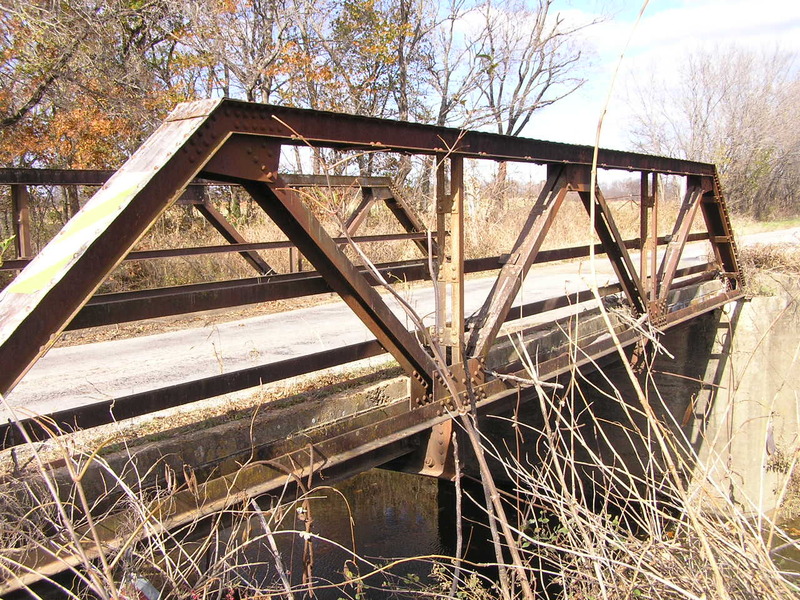 Overall, the span is in good, unaltered condition.